Having to let employees go can be a difficult process—regardless of the circumstances behind the dismissal or that person’s decision to leave the company. However, when staff members leave the company, one of the most important things any business needs to do is remove that individual’s access to company resources. For some companies, closing down a former employee’s access is as simple as deactivating keycards and removing them from the personnel list, but the issue becomes more complex as IT resources become involved. 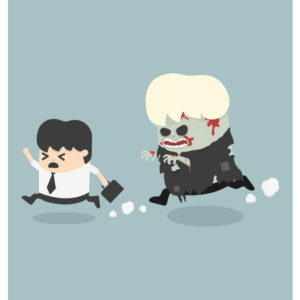 Recently, a study conducted by Courion Corp. found that 93 percent of organizations feel confident that their systems aren’t at risk because of unused, or “zombie accounts” left by ex-employees. However, in spite of this, a Lieberman Software study last year found that over 13 percent of all former employees could still access their old professional systems, utilizing the same password credentials. Even if the employee in question isn’t malicious in nature, leaving old accounts open can lead to significant holes in security, particularly through applications that need constant updates and patches to remain effective. So how can you make sure that you close out old accounts in a way that is safe and secure? 1 Comment on "Zombies Be Gone: Tips on Closing Accounts of Former Employees"
This was a little bit of an issue for me as I am in a business that has high turnover, but the key here is to just take the time to completely remove their access. It's worth it.